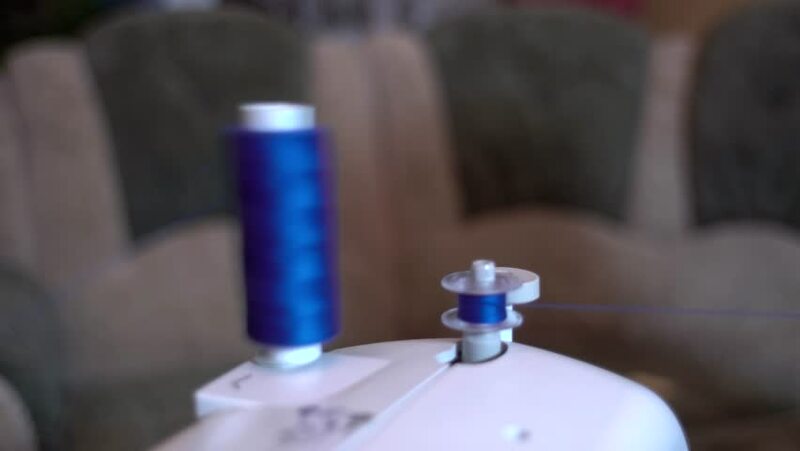 The thread is wound onto the spool on the sewing machine Sewing needle. For concepts such as fashion and design, work and industrial. hd00:18Close-up of nail master hands in disposable gloves holding pastel gel polish. Slow motion. 4k00:29Rolling out wrapping paper and cut with scissors 4K. Long shot of big vintage wrapping paper in focus while person cuts a big piece for making presents. White lantern in front left part of frame.